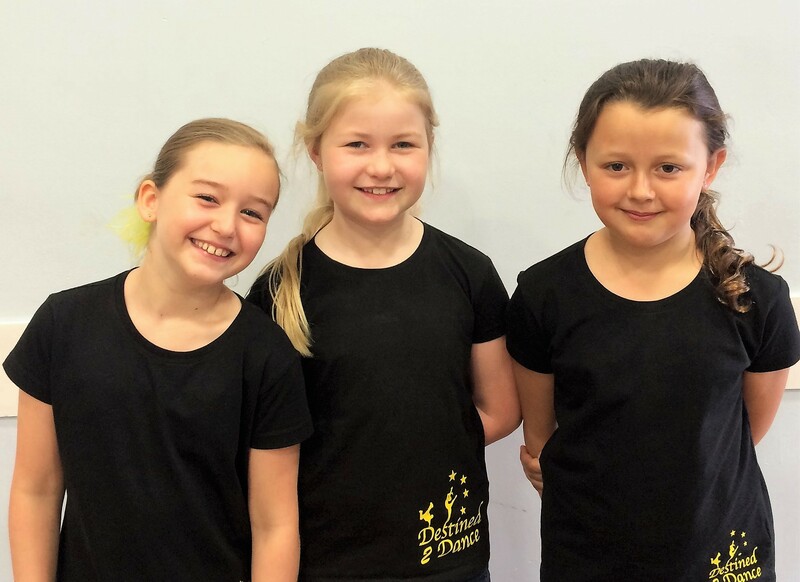 We believe that our school uniform helps students to feel united as part of a team. Wearing the correct clothing and footwear is also important for ensuring ease of movement and safety. 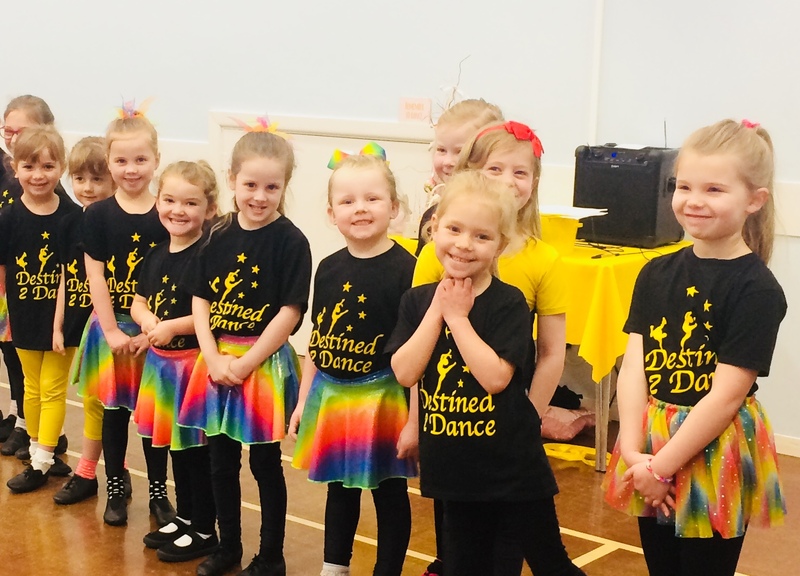 Various items can be purchased from the school (please enquire for more information), all other items are available from Dancemania Dancewear in Poole (Unit 3, Benridge Business Park, Holyrood Close, BH17 7BD). Let the staff at Dancemania know that your child is a student at Destined 2 Dance and they will inform you of our uniform list. Our school ID is PP150002 if you would like to quote this when you visit. If you would like to earn rewards for your purchases please ask in store for a customer reward card. Option 1:Class T-shirt with Rainbow or Yellow Skirt or Black or Yellow Leggings (Footless or Crop). Skirts can be worn with or without leggings. Star shorts can be worn over leggings. Option 2:School Black and Yellow Leotard with Rainbow or Yellow Skirt, Black Jazz Pants or leggings (Footless or crop). Skirts can be worn with or without leggings. Star shorts can be worn over leggings. Black Patent Web Dance Sneakers from Capezio, Leather Full Sole Black Jazz Shoes or Slip on Black Jazz Shoes (all to be worn with black ankle socks). Multi Coloured or Yellow School Hairband. Class T-shirt with Black Jazz Pants or Black or Yellow Leggings (Footless or Crop). Star shorts can be worn over leggings. Class T-shirt paired with Boys Black Cotton Jazz Pants or Plain Black Jogging Bottoms. Plain Black Shorts can be worn during the summer months. Leather Full Sole Black Jazz Shoes, Slip on Black Jazz Shoes or any style of Boys/Unisex Black Dance Sneakers. We politely ask that mid-long length hair is worn up please and jewellery which is considered potentially dangerous will not be permitted. Thank you in advance for your co-operation.